If you have 2 magnets repelling one another, is the force doubled? If you stack 2 magnets together, is the pull force doubled? These are good questions that we receive from time to time. The answers are found in the mechanical engineering study of statics, the study of forces on non-moving objects. We’ll try to answer these in plain English, avoiding as much engineering jargon as we can! First, let’s cover the basic assumptions here. Our Repelling Force Magnet Calculator shows the repelling force on a magnet that happens when another magnet of the same size is placed at some distance from it, with like poles facing one another. The force depends on the distance between the magnets. The farther apart the magnets are, the weaker the force. When the magnets are touching one another, at distance = 0, the force will be approximately equal to the magnet’s listed Pull Force, Case 1. This theoretical number also assumes that you’re keeping the two magnets perfectly aligned with one another, even though the repelling forces and moments try to push the magnets off-axis. In real world applications, assume your force will be a little lower than the calculator’s numbers. What exactly is this calculator telling us? 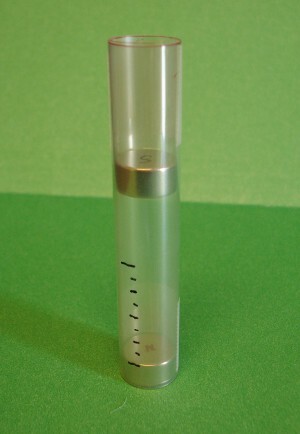 Two D84 disc magnets, repelling, in a clear tube for stability. Let's consider a specific example. If I take two ½” diameter x ¼” thick D84 disc magnets and squish them together so that both north poles (or both south poles) are facing one another, I can expect a repelling force of just over 10 lb right before they touch. If I enter a distance of 0.125” (1/8”), the force drops to 3 lb. That is the force that is pushing on one of the magnets when they are separated by a 1/8” distance. 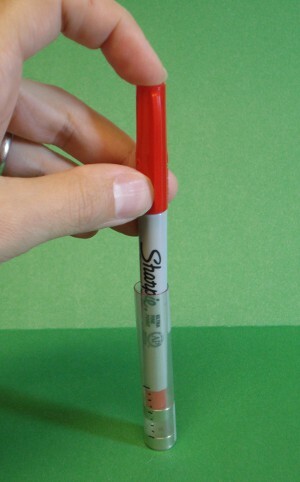 Now place a second D84 magnet into the tube, with like poles facing one another so that they repel. You can have the north pole of one magnet facing the north pole of the second, or the south pole from each magnet facing one another. The second magnet is floating above the first, held up by the repelling force. Push down on the upper (floating) magnet with some force. Now push down on the upper magnet until the distance between the 2 magnets is 1/8”. The force should be about 3 lb. The lower magnet is pushing up on the upper magnet with a force of 3 lb. Wait, what about the doubled force question? Push down with a force gauge. 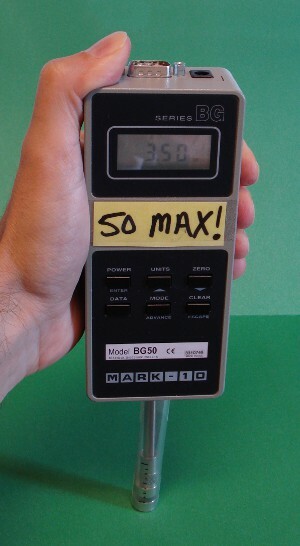 As predicted, we see 3.5 lb at a magnet-to-magnet distance just short of 1/8". The confusion here might come from a partial application of the rules of statics. You don’t have to be a mechanical engineer to have learned the phrase, “every action has an equal and opposite reaction.” Those half-forgotten lessons in high school physics seem relevant here! In what we have described so far, we say that the lower magnet is pushing on the upper, floating magnet with a force of 3 lb. You might also say that the upper magnet pushes down on the lower magnet with a force of 3 lb. Indeed, the desk is pushing up on that lower magnet with 3 lb of force. Why can’t we add the two numbers together, and say 3 + 3 = 6 lb of force? Why not? Because it’s not really related to physical reality. It is nonsensical. It isn’t something you can measure on the force gauge. It isn’t a measure of how much weight you can rest on the upper magnet and still have that 1/8” gap. Let’s redefine the problem to look at things a little differently. In the last example, the bottom magnet was stuck to a desk, and you were pushing down on the upper magnet. Instead of a desk, let’s say that the lower magnet is resting on my hand. How does this change our description? Well, some things don’t change. Assuming I’m really strong and can hold my hand steady, it still takes you 3 lb of force to bring the magnets to within 1/8” of each other. In this case, you’re pushing down with 3 lb of force. It is also true that I am also pushing up with 3 lb of force. Does that add up to 6 lb? No! These forces are not even in the same direction. You’re pushing down and I’m pushing up. We’re measuring 2 different things. Think of what you can measure with that pull force gauge. I can’t measure what you’re pushing down with and what I’m pushing up with simultaneously. Question #2: If you stack 2 magnets together, is the pull force doubled? Sometimes. Here’s a better answer: If you stack 2 magnets together (with opposite poles touching), they will act like a single magnet of the same overall height. 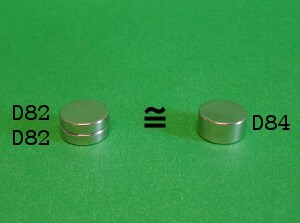 Consider the table of ½” diameter, grade N42 magnets below, which shows the listed pull force for each magnet. If we stack two 1/16” thick D81 magnets together, it will act magnetically like a single D82 magnet that is 1/8” thick. The force of 3.1 lb increases to 6.44 lb. In this case the force is a bit more than double (about 208%). Likewise, if you stack two 1/8” thick D82 magnets together, they’ll act like a single ¼” thick D84 magnet. The force jumps from 6.44 lb to 10.88 lb. This time, we get about 169% of the pull force of one D82 magnet – we didn’t quite double it. As you stack more and more magnets together, this exercise becomes a case of diminishing returns. The more magnet material you stack up, the less increase in pull force you’ll see. A 1” tall D8X0 has over 95% of the pull force of a 3” tall D8Z0! In a way, this makes perfect sense. We’re measuring the pull force from a magnet to a flat steel surface. As you increase the height (or stack more magnets), each new bit of magnet material you add is farther away from the steel you’re trying to attract to. Since it’s far away, it doesn’t add as much strength. Looking for more tables like this to help find the magnet size you need? See our Magnet Summary Page, where the lists are searchable and sortable.